1) First, Create a Social Media User Profile. Once you choose the social media platform that interests you, you need to create a profile. Make sure you fill out your USER PROFILE. It is the one thing that all social media platforms have in common. Your PROFILE (on most social networks) should contain at least the following five elements: a Profile Picture, a Cover Photo, a descripton of your business, a link to your website and some activity. Using the default Profile Picture on a social media site suggests that you are a spammer or someone who is not committed to the community. IMPORTANT: Before you do anything else, upload your logo or a professional photo of yourself to your profile! The image below shows example Profile Pictures (photos) from (1) Facebook, (2) Google+, (3) Twitter and (4) Pinterest. On Facebook and Twitter, you can and should upload a Cover Photo that will extend across the backgound of your page. If you upload an image that doesn't fit the dimensions required, you'll be asked to crop and reposition the image or find a larger one. NOTE: The dimension requirements for cover and profile photos frequently changes. Your Social Media Bio/Description is an important part of your Profile. Take the time to fill these sections out with care because potential customers will likely read them. Use this space to give your visitors a sneak peek into your business. If you have a Facebook business page, your company description will be located under the "About" tab of your profile page. Your about section offers the opportunity to include the following information: short description, long description, mission, awards, products, website address and contact information. Your Twitter bio, on the other hand, will be very minimal in comparison to Facebook. There are only five fields you can update: name, bio/description, location, website address and theme color. Your Twitter bio/description is limited to 160 characters, so you can't go into much detail. Notice, though, that you can include your website address in your profile, which automatically turns your social network into a potential source of referral traffic. Don't miss out on that opportunity. 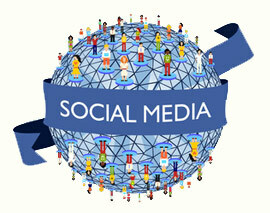 In order to be seen by others in the public "news feed / timeline" you must have followers. Start by "following" other businesses/people (in other words, sign up to read their posts). The word "FOLLOW" is used in Twitterand Pinterest. On Facebook, you "LIKE" a business page instead. 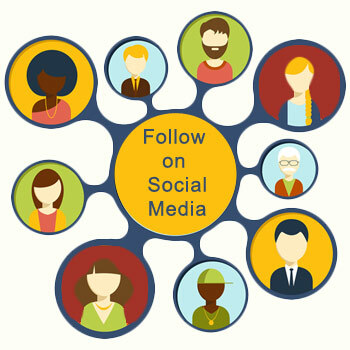 Once you have quality content to share and you start following other businesses, others will likely follow you too. NOTE: When you join a social network, be sure to focus on the needs of your followers. Try to become an industry expert rather than participating only to promote your own products. Social Media is a place to demonstrate your expertise rather than to just advertise. Social media is reciprocal. People notice when you take the time to share their posts and will likely return the favor. The more you engage on each platform, the more exposure your business will get with your target audience. If you want to be successful, it can't be all about the sell. It's about sharing useful content to nurture your online relationships and develop new ones. Build your connections online just like you would in person, keeping the 80/20 rule in mind. 80 percent of the content you post should be entertaining or informative, while no more than 20 percent of it should be directly related to the your products or services. Also be sure to spread out your posts, keeping the Goldilocks principle in mind. Aim for a posting frequency that isn't too much or too little. It's just right. Constant posting can have a negative effect where you lose followers. Similar to starting out with your business, your reach may be slow at first. Just because you've started putting time and effort into it doesn't mean you'll see big results right away. With practice, you will learn how to make connections and develop a solid social media strategy. Are you a small business owner struggling to find your way in and around social media? This simple guide will help you tackle the landscape of Pinterest. Ready? Let’s explore. As a small business, you may be struggling with social media. Need some "easy-to-implement" ideas to jumpstart your Facebook page? Try these 15 Quick Tips. These 5 Simple Steps will help you understand the basics of Social Media Business Pages so you can get started with a bit more confidence and maybe a little enthusiasm to boot. Social media is about social interaction. Your goal should be to engage customers, build relationships and stay top of mind. That's how you get repeat business and referrals. But to do that successfully in 2016, you need a firm grasp of social media etiquette. Here are 15 tips to get you started. Which social media networks are right for you? See Understanding Social Media.